Thali is not a dish in itself but it is a combo of meals which comprises of a sweet dish, two or more curries, dal (lentils), usually steamed rice, pickle, puri/naan/chapatti (one of these Indian breads), papad (poppadoms), butter milk, one raita, one or more chutneys, and more or less depending upon whether you opt for the north Indian thali or south Indian thali and also the place you eat. Thali, according to me is the best way to relish Indian meals as you get to taste a variety of dishes in one go and the added advantage of this is you pay less and taste more. In this concept of thali you need not order different dishes for one person and end up wasting more food and also spending more money. Just order a thali and you are done, no side dishes, no dessert…just the thali (by the way thali means plate, in this case, its means a thali or plateful of food). It is a side dish prepared with the so called baby aloos (potatoes) which are simmered in the gravy prepared with tomatoes, onions and variety of spices. It goes will with rice or nan breads. If you love curries, you’ll love the dam aloo. Stuffed parathas are a kind of Indian bread which are made of either whole wheat flour or white flour and stuffed with a variety of stuffings. The stuffings can be potatoes, cauliflower, cabbage, paneer (cottage cheese), and any other vegetables that you can think of. Paalak means spinach and paneer means cottage cheese. Cottage cheese is either boiled in salt water or pan fried a little and added to spinach gravy. 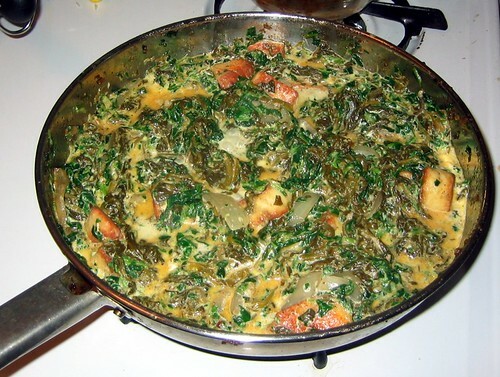 The spinach gravy is prepared by blending the slightly boiled palak along with ginger, garlic, green chilli and onion. This is one of the favourite snacks of every Indian! You can’t come to India and not try the somosas out. It is a deep fried snack prepared by rolling the dough of white flour and then filling it with the mixture made of potatoes, green peas, garam masala, onions, chilli powder, fennel and salt. You’ll love it. Chole batura can either be your breakfast, lunch, evening snack or dinner. Yes, you read it right. That is the beauty of this dish. Though it is a heavy meal, Indians do not hesitate to relish the flavours of chole batura any time of the day. 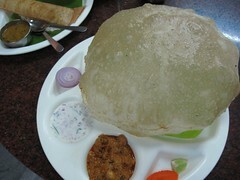 Baturas are deep fried round Indian breads made of white flour. Chole is the side dish prepared with chick peas. 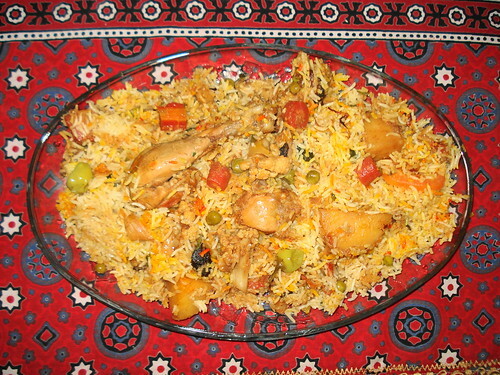 Birayani takes many forms and can be vegetable biryani or non-vegetarian. Either way, it is a dish you must give a shot. It is a rice preparation served with raita (yogurt with onions and shredded salad mainly cumumber). It is form of thin pan cake prepared with the batter which is fermented over night. The batter is made of rice and white lentil (something called the udad dal). It is severed with potatoes, chutney and sambar. When in India, sweets and deserts cannot be left behind. But I am sorry I cannot really suggest just one dessert out of the hundreds of choices. These are the 4 desserts that made to my top 10 list. “Gajar ka halwa” is prepared with carrots, Jalebis are the deep fried gram flour savouries which are then dipped into the sugar syrup, Jamoons are deep fried balls made of condensed milk called “khoya” which are then added to sugar syrup. 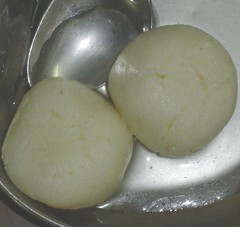 The Rasgola is a Bengali sweet prepared by boiling “paneer” in sugar syrup. The king of all dishes! They are mostly had as starters or evening snack. 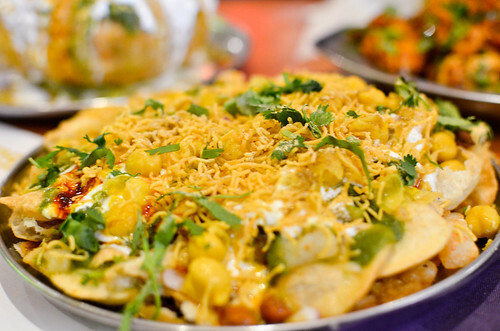 Chaat is not the name of one dish but include a variety of other dishes mainly pani puri, sev puri, pav baaji, to name a few. Tamarind, chilli powder, curds, onions, tomatoes and sev (vermicelli) are the key ingredients that go into most of these chaats famously known as street food. If you have travelled to India or if you live in India, I would like to hear your favourite Indian dishes. Don’t be shy; leave the name of your favourite Indian dish in the comment box. Nice compilation but I think due oversight you have posted a pic of masala dosa for stuffed paratha. Thank you. Corrected. Now stuffed parathas on its original place. I just cannot resist the sweets mentioned here. All four of them are my favorites. Thank you Medha. The sweets of India are out of this world. Yummy countdown! You are making me hungry now! you left out the NON veg dishes .. Such a great article mam, Muhaa love indian foods. Thank you Raavi, I am glad you liked it. Nothing is really more appealing to tourists other than food. The food of a country shows the nature and persona of the people living in it. So, if you really want to understand people, you better see them prepare the food and know the meaning behind them. Some of my favorites are on this list! Samosas are very tasty, but they can also be fiery. Every time I had dum aloo in India, it was stuffed with paneer. So good! For meat eaters, butter chicken and lal maas are very good. On the sweets list, try barfi. It looks like white fudge. Delicious! I’ll take this list with me on my next trip and try some of the things I haven’t had yet. This trip will include a walk through Chandni Chowk and sampling street food. Yum! Hi Marie, indeed Samosas are great, they are just phenomenal. My favourite sweet has always been “ras gullas”. When in Delhi – also try moong halwa in Sadar Bazaar. You also get great chola-bhatoora and rajma-chaawal in Delhi. And, of course, don’t forget the paraanthe-wali-gully when at Chandni Chowk. Margarita, indeed they are lovely. My favorite has also been the masala Dosa. No dish can beat the malsala dosa. the pictures above looks so delicious I will try one of those recipes. I believe Biriyaani is a dish from kerala. I love Biriyaani and is the most common dish people prefer when they got to hotels in Kerala. Last time I came to kerala I had Masala Dosa.I dont live the outer covering but the “Masala” inside is supers and still mouth watering. I had it from Indian Coffee House. Ooh the food looks absolutely delicious! Is it very spicy? Great article and thank you for sharing! A very good selection of the Indian dishes. Rajma Chawal can we also considered. Yes, daal-baati… also tastes yummy with a side dish of baingan-ka-bhartha! Few of my favorites are here, If you’re in the capital city and want to try Sarson ka Saag and Makki ki Roti, go to Punjab Grill. They have a brilliant ongoing Winter Menu. Absolutely delightful! I like very much – Sarson ka Saag and Makkai ki Roti, Any Punjabi winter menu is incomplete without Sarson ka Saag and Makkai ki Roti. We were realy glad for that Punjab Grill didn’t leave this off the menu. I love indian food and I am sold when it comes to bryani. I’ve never tried stuffed paratha and would sure love to try that. A wonderful mouth watering list! I absolutely love each and everyone of the dishes you have mentioned here. Lovely post. I think I’m going to like rasgola. It is seems similar with siopao. The thing is it made for sweet. rasgullas has always been my favourite as well. i am on a fortnight long trip to India and ate Biriyani today, I don’t remember which type it was but tasted heavenly. It’s the best food I have every savored on this planet. But unfunately its very hot in Mumbai. I wish I had some more time to enjoy the monsoon in India too. I am glad you liked the biryani. In fact, I love biryani myself. Invite me any day for Biryani. As for Mumbai, I agree – unfortunately its way too hot even for Indians. Thanks for comment. 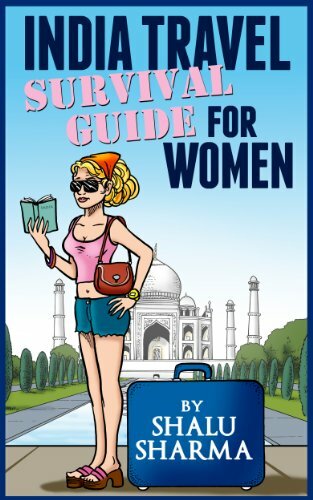 very comprehensive and helpful post, will come in handy when I visit India this year. I’ve tried the Thali, stuffed parathas and masala dosa in Malaysia a few years back. all is nice food, Thali thali and thali. thats is a very good food, whats is recipe for make tHali? all Indian sweet dishes and fast food are my favourite one. Excellent article on our food culture. I also suggest everyone try this atleast once you really loved it. 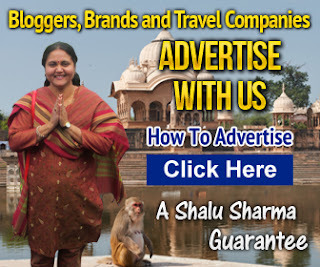 It’s perfect article for foreigner who wants to try food in India but with great tips of food. I like these all foods. I am proud to be an Indian our culture, our food, our togetherness is really awesome and are the best example of unity as what i think. Thanks for sharing this blog its really tempting. This is nice collection of fantastic food. Would love to have one of them one day. Thank you for sharing. Nice work, nice presentation i love indian thali much..
Hello, Your sweet item and all others item are so cute. Your presentation also creative. Wow yummy foods! I want to try to eat it. Looks delicious. I wonder what is the recipe of that. It’s like the Philippine food. Yummy also. I really love the food! Specially Samosa. I miss the flavor and I miss eating it with spice! I have lived in Vancouver for 9 years and I am a big fan of Indian cuisine. I have tried most of it and all were absolutely delicious. Wow I’m all set if I visit Indian. Looks delicious. 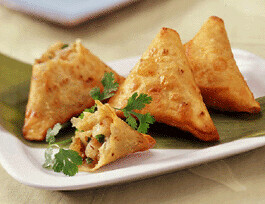 samosa is best cheapest and taste is great….!! I love samosa! Chaat looks very appetizing. Here we have something that looks like stuffed paratha which we call ‘Murtabak’ and it’s stuffed with veggies and chicken/meat/sardines. hey shalu ji…you have brought water in my mouth, and you have the best food that everyone should try…now bye i am going to have chaat..
Those looks so good! I’ve always wanted to see India and plan to one of these days. Would you know where to find recipes for some of these dishes in the meantime? It would be great to learn to make them myself too. Very nice article and deffirent food I like it & love it. parata stuffed that in my country Indonesia known as the bread maryam, it felt good. Indoneisa people usually enjoy this menu disore day with milk topping, cuklat, cheese or with added curry sauce delicious. Great !! I just surprised but confused which I will take from here. Each recipe is so delicious. But there have some recipes which might be out of diet system. Anyway, I am really interested with all of the recipes here. Nice List madam ? R u try Malvani or goan fish curry fry? 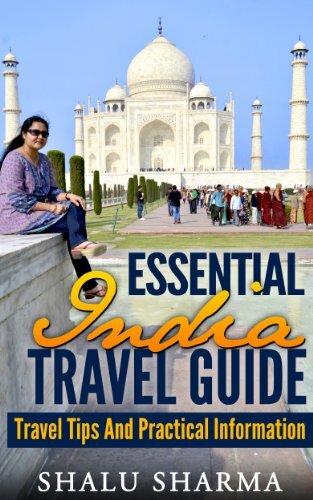 Great list,nice compilation,by the way i love India’s food,i visited India a few years ago and i full in love with a lot of recipe that i found so so so delicious and healthy.Thank you for the post. This is a great list. I just love Indian food and all the spices. Thanks! Most of the Indian people love to eat Biryani with Spicy. In this article there are lot of mouth watering food. Thanks for sharing. I have not been to India before. 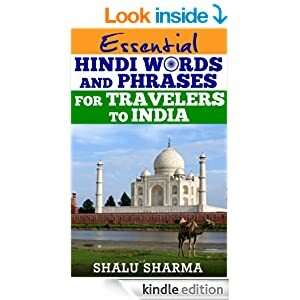 However, this summer my family will come to Delhi for vacation, I and my family will try these foods that you recommeded above.Thanks for your recommeded! This is a great list. India is one of the best country in the world for providing n number of tasty dishes. Wow, awesome post… I can say it as Mouth Watering treat 🙂 Anyways I guess you missed the most popular dish of India and that is Biryani. Awesome list of foods and i love every thing in list especially dosa and chole bhatura. top notch information.love those pictures and Indian food.thanks for sharing. Nice Health tips and site. I like this site and all set. Good health is important to the happiness and professional life. I have a knowledge on the subject. and have such site, you can see it. I never try this kind of foods, but it looks interesting i wanna try this if i could get there. I love rajma chawal and khadi chawal..Anyone else here like those foods of India. when i go to India, i will to try it! your post is awesome.i like indian food very much.and i also got more informatioon about indian foods. Loved this article, going to share with my friends for sure! 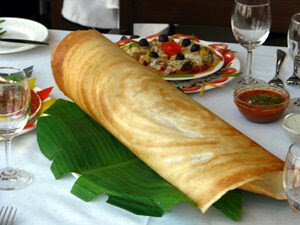 i think Indian foods one of famous foods in the world.i have taken lot of Indian foods and those foods are very interested.the people who live in out of India they can try Indian foods. This article is very nice and the food list is very good. What’s so special about Asian cuisine – particularly the Indonesian style of cooking food? Without a doubt, oriental cookery is fast becoming an important option among the many food varieties all over the world. Just after going through your drool-inducing must try food items, I’m eagerly waiting to have chaat after my office hours. I haven’t tried dam aloo yet, after going through your list I’d definitely be giving that a try. Thanks for compiling this awesome list. I am a big fan of Indian food since my last visit to India in 2012.Samosa is my favorite dish to eat in India. Well I was just surfing internet for making something new today as I love to cook but it made me visit your site and here what I can see just left my mouth get watered and now I am just dying to eat any one of these. India cuisine is wonderful. I have tried curry and I was crazy with it. I wish I could try Thali and Dam Aloo next time when I visit India. Thanks for sharing interesting information with us. In the ancient time, India was greatly influenced by three regions: Buddhists, Hindus, and Jains. The rising of these religions increases the trend of vegetarianism in the country. But now, a major portion of Indian population is non-vegetarians. Non-vegetarians relish meats (chicken, mutton), fishes, eggs etc. Therefore, Indian foods now include a number of non-vegetarian items including different types of biriyanis (mutton, chicken, mixed), prawn curry, lamb vindaloo, lamb korma, lamb Madras, lamb tikka masala, lamb rogan josh, chicken Madras, chicken korma, chicken curry, chicken karabi. A handful collection of big mouthful foods. this is a paradise for food lovers (count me in). Thanks for sharing. Wow all types of foods piled up together, that looks so delicious. Thanx for the great post. A great collection of dishes!! You covered all the most delicious dishes in a list. All dishes are mouth watering dishes, but there should be any non-veg dish on this list. Very Nice Informative .I Love the way of Writing about Indian Food Collection . That is so tempting and Yummy Post thank You Shalu, I frequently order such Food Online from different near by using fabpromocodes.in to check out at best prices. Try it for you as well. In the last 2 years ago, I visited Siliguri, India the most amazing place. After reading your article i just remember my memories. Ohh. You have shared some good food list here. 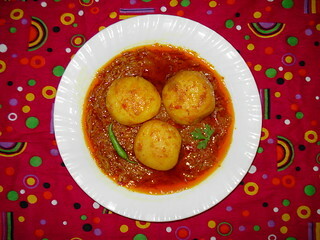 “Dam Aloo” is really a wonderful and delicious food. I also learnt from India how to make Dam Aloo. When i get free i usually cook my favourite this menu for me, my husband and my 4 years baby Boy. You had compiled a good list of Indian food collection and also doing great job of promoting our Indian food culture across globe through your website, Good wishes. what a great information because i love Indian meals,with this great article i will be able prepare one. I now have these foods on my list, I will definitely try them out. I love indian food. This food was very tasty, There are many dishes.Thank you for sharing This. Very nice. I also like rasmalai, laddoo, barfi, paisa/kheer and malai kofta. My daughter tried kulfi too.